It took me almost a year to actually pot water in my tank. 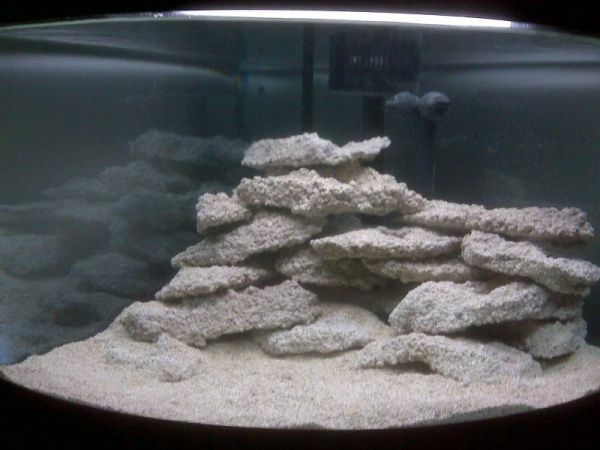 I already had a 12 gallon Nano that I had for a couple of years when my wife bought me this 45 gallon Fluval corner tank from the pet store she was working at. I made the rock from Aragonite and White Portland Cement and had it rinsing in fresh water for about 3 months. Far longer than necessary but I was in no hurry.